It doesn’t matter what I’m teaching online, I’ve noticed there are certain groups of people who are already in the mindset to fail even before they start. What’s worse is they don’t even realize it so they blame external factors. If you believe you can’t do this because you aren’t talented enough (no design skills), early enough (too saturated) or [something] enough then you really need to listen to this podcast. Merch is far from saturated. It’s still very wide open. And if you are procrastinating out of fear of failure or doubting yourself, you are missing out on this once-in-a-lifetime, FREE opportunity. 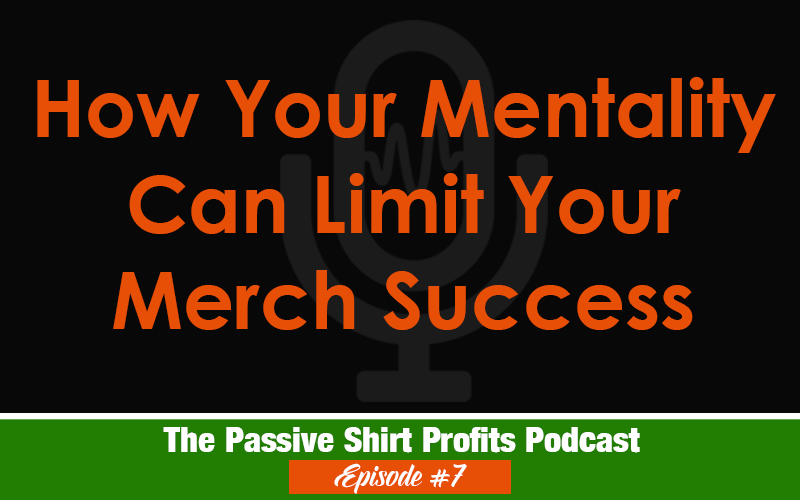 I have heard about so many people who have never made a dime online after years of trying numerous things, but were able to succeed with Merch. As I’ve said in other podcasts, you just aren’t going to find many or any other opportunities online like this.